The 89th Academy Awards ceremony, presented by the Academy of Motion Picture Arts and Sciences (AMPAS), honored the best films of 2016, and took place on February 26, 2017, at the Dolby Theatre in Hollywood, Los Angeles, California, at 5:30 p.m. PST. During the ceremony, AMPAS presented Academy Awards (commonly referred to as Oscars) in 24 categories. The ceremony, televised in the United States by ABC, was produced by Michael De Luca and Jennifer Todd and directed by Glenn Weiss. Comedian Jimmy Kimmel hosted the ceremony for the first time. In related events, the Academy held its 8th Annual Governors Awards ceremony at the Grand Ballroom of the Hollywood and Highland Center on November 12, 2016. On February 11, 2017, in a ceremony at the Beverly Wilshire Hotel in Beverly Hills, California, the Academy Scientific and Technical Awards were presented by hosts John Cho and Leslie Mann. In the main ceremony, Moonlight won three awards including Best Picture, after La La Land was mistakenly announced as a winner, as well as Best Supporting Actor for Mahershala Ali. La La Land won six awards, the most for the evening, out of its record-tying fourteen nominations, including Best Actress for Emma Stone and Best Director for Damien Chazelle. Hacksaw Ridge and Manchester by the Sea won two awards each with Casey Affleck winning Best Actor for the latter. Viola Davis won the Best Supporting Actress honor for Fences. The telecast garnered 33 million viewers in the United States. The nominees for the 89th Academy Awards were announced on January 24, 2017, via global live stream from the Academy. 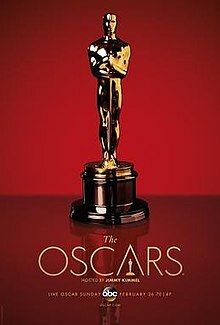 La La Land received the most nominations with a record-tying fourteen (1950's All About Eve and 1997's Titanic also achieved this distinction); Arrival and Moonlight came in second with eight apiece. La La Land's Best Picture loss to Moonlight meant it set a record for most nominations and wins without winning Best Picture since Cabaret in 1972. The winners were announced during the awards ceremony on February 26, 2017. Moonlight became the first film with an all-black cast and the first LGBT-themed film to win Best Picture. In an event unprecedented in the history of the Oscars, La La Land was incorrectly announced as the Best Picture, and, a few minutes later, the error was corrected and Moonlight was declared the winner. O.J. : Made in America, at 467 minutes, became the longest film to win an Academy Award, surpassing the 431-minute long War and Peace, which won the Academy Award for Best Foreign Language Film in 1969. Following the five-part documentary's win, new Academy rules barred any "multi-part or limited series" from being eligible for documentary categories. With Casey Affleck winning the Oscar for Best Actor, him and his older brother, Ben Affleck, became the 16th pair of siblings to win Academy Awards. 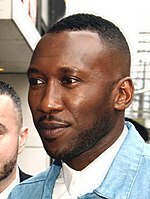 Mahershala Ali became the first Muslim actor to win an Oscar. Viola Davis became the first black person to achieve the Triple Crown of Acting with her Oscar, Emmy, and Tony wins. 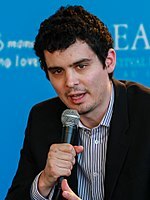 At the age of thirty-two years and thirty-eight days, Damien Chazelle became the youngest person to win Best Director; Norman Taurog was only two hundred and twenty-two days older than Chazelle when he won Best Director for the 1931 comedy Skippy. 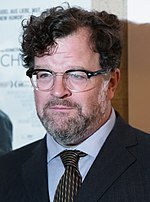 Kevin O'Connell finally ended the longest losing streak in Oscar history after 20 unsuccessful nominations for sound mixing, winning for Hacksaw Ridge. Moonlight's Dede Gardner became the first woman to win twice for producing, following her previous Best Picture win for 12 Years a Slave. Dwayne Johnson Introducer of the performance of Best Original Song nominee "How Far I'll Go"
Dev Patel Introducer of the performance of Best Original Song nominee "The Empty Chair"
Emma Stone Introducers of the performance of Best Original Song nominees "Audition (The Fools Who Dream)" and "City of Stars"
Justin Timberlake Performer Opening number: "Can't Stop the Feeling!" from Trolls and "Lovely Day"
Due to the mixed reception and low ratings of the previous year's ceremony, producers David Hill and Reginald Hudlin declined to helm the Oscar production. They were replaced by Michael De Luca and Jennifer Todd as producers. Actor and comedian Chris Rock told Variety regarding if he would return to host, "someone else will do it." On December 5, 2016, it was announced that Jimmy Kimmel would host the ceremony. Kimmel expressed that it was truly an honor and a thrill to be asked to host Academy Awards, commenting "Mike and Jennifer have an excellent plan and their enthusiasm is infectious. I am honored to have been chosen to host the 89th and final Oscars." Due to his hosting duties, ABC did not broadcast a special episode of Jimmy Kimmel Live! following the ceremony, as in past years. Instead, ABC aired Live from Hollywood: The After Party, co-hosted by Anthony Anderson, and Lara Spencer of Good Morning America. The stage set was designed by Derek McLane. At the time of the nominations announcement on January 24, 2017, the combined gross of the nine Best Picture nominees at the North American box offices was $483.8 million, with an average of $53.8 million per film. When the nominations were announced, Arrival was the highest-grossing film among the Best Picture nominees with $95.7 million in domestic box office receipts. La La Land was the second-highest-grossing film with $90.5 million, followed by Hidden Figures ($85 million), Hacksaw Ridge ($65.5 million), Fences ($48.8 million), Manchester by the Sea ($39 million), Hell or High Water ($27 million), Lion ($16.5 million) and Moonlight ($15.8 million). Moonlight became the second lowest-grossing film to win Best Picture award. Thirty-five nominations went to 13 films on the list of the top 50 grossing movies of the year. Of those 13 films, only Zootopia (3rd), Moana (15th), La La Land (45th), and Arrival (48th) were nominated for Best Picture, Best Animated Feature or any of the directing, acting or screenwriting awards. The other top 50 box-office hits that earned nominations were Rogue One: A Star Wars Story (4th), The Jungle Book (5th), Fantastic Beasts and Where to Find Them (8th), Suicide Squad (10th), Doctor Strange (11th), Star Trek Beyond (24th), Trolls (25th), Passengers (30th), and Sully (32nd). In the previous two years, the awards had come under scrutiny for the lack of racial diversity among the nominees in major categories, which included no actors of color being nominated. After the nominees for the 89th Awards were announced on January 24, many media outlets noted the diversity of the nominations, which included a record-tying seven minority actors and a record-setting six black actors. For the first time in the Academy's history, each acting category had black actors, with three nominated in the Best Supporting Actress category and three black screenwriters nominated in the Best Adapted Screenplay category in the same year. Also nominated was one black director, the fourth in Oscar history. The awards continued to be criticized by actors and media organizations representing non-black minorities. The National Hispanic Media Coalition stated that Latino actors were "not getting the opportunities to work in front of camera, and with few exceptions, in back of the camera as well." Daniel Mayeda, chair of the Asian Pacific American Media Coalition, stated that the omission of Asian actors from the nominations list (with only one actor, Dev Patel, nominated) reflected "the continued lack of real opportunities for Asians in Hollywood". A skit performed during the ceremony, in which a group of tourists enter the theater, led to criticism of host Kimmel over his mocking of an Asian woman's name. Having previously been nominated for Doubt (2008) and The Help (2011), Viola Davis became the first African-American actress to garner three Academy Award nominations. She went on to win the award, making her the first African-American to achieve the Triple Crown of Acting: winning a competitive Emmy, Tony, and Oscar in acting categories. Bradford Young became the first African-American to be nominated for Best Cinematography, while Joi McMillon became the first African-American to be nominated for Best Film Editing since Hugh A. Robertson for Midnight Cowboy, as well as the first black woman to be nominated for that award. Octavia Spencer became the first African-American actress to be nominated after having already won before. Moonlight became the first film with an all-black cast to win the Best Picture award. Additionally, the ceremony had the most black winners of the Academy Awards ever. Iranian director Asghar Farhadi, who won the Best Foreign Language Film for The Salesman, was revealed to initially be unable to attend the ceremony due to President Donald Trump's immigration ban. He boycotted the event, saying, "I have decided to not attend the Academy Awards ceremony alongside my fellow members of the cinematic community." The Academy president Cheryl Boone Isaacs reacted to the travel ban, saying, "America should always be not a barrier but a beacon and each and every one of us knows that there are some empty chairs in this room which has made academy artists into activists." 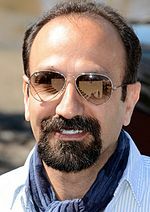 Two prominent Iranian Americans – engineer Anousheh Ansari, known as the first female space tourist, and Firouz Naderi, a former director of Solar Systems Exploration at NASA – accepted Asghar Farhadi's Oscar on his behalf at the ceremony. Congratulations which had initially been tweeted to the Iranian people from the US State Department's official Persian-language Twitter account were deleted following the acceptance speech given by Firouz Naderi in which President Trump's travel ban was described as "inhumane". Warren Beatty and Faye Dunaway came onstage to present the award for Best Picture, in celebration of the 50th anniversary of Bonnie and Clyde. After opening the envelope, Beatty hesitated to announce the winner, eventually showing it to Dunaway, who glanced at it and declared the favorite for the award, La La Land, the winner. However, more than two minutes later, as the producers of La La Land were making their acceptance speeches, Oscar crew members came on stage and took the envelopes from those assembled, explaining to them that there had been a mistake. La La Land producer Fred Berger, having heard the news, concluded his brief speech by saying "we lost, by the way". Beatty was then given the correct opened envelope as La La Land producer Jordan Horowitz stepped to the microphone, announced the error, stated that Moonlight had actually won the award, and took the card bearing the film's title from Beatty's hand and showed it to the camera and the audience as proof. The La La Land team, particularly Horowitz, would later be praised for their professional handling of the situation. Beatty returned to the microphone and explained that the envelope he had initially been given named Emma Stone for her actress performance in La La Land, hence his confused pause, and confirmed that Moonlight was the winner. The producers of Moonlight then came onstage, Horowitz presented the Best Picture award given to him to them, and they gave their acceptance speeches. According to The Hollywood Reporter, PricewaterhouseCoopers (PwC) – the accounting firm responsible for tabulating results, preparing the envelopes, and handing them to presenters – creates two sets of envelopes, which are kept on opposite sides of the stage. It is intended that each award has one primary envelope and one backup envelope that remains with one of the PwC Accountants in the wings. Video stills from the broadcast show that Beatty and Dunaway had been given the single remaining still-unopened backup envelope for Actress in a Leading Role as they walked onto the stage. Brian Cullinan, the PwC accountant who gave the wrong envelope to Beatty, had been instructed not to use social media during the event; however, moments after handing over the envelope, he had tweeted a snapshot of Stone standing backstage. Variety published photographs of Cullinan that were taken at the time which showed him backstage while tweeting the image. The show received a mixed reception from media publications. The review aggregator Rotten Tomatoes gave the show a 76% approval rating, with an average rating of 8/10, based on 17 reviews. The site's consensus reads, "Jimmy Kimmel acquits himself commendably as a natural fit to host the Academy Awards, bringing a wry wit to a highly political 89th Oscars ceremony that culminates in an awe-inspiring fiasco that may have been mortifying in the room, but proved to be unforgettable on the screen." Some media outlets were more critical and complained of repetitive jokes; Jeff Jensen of Entertainment Weekly complained that the show "didn't know when to stop and didn't know when to bail on stuff that wasn't working", and The Oregonian Kristi Turnquist agreed and especially noted the repeated segments featuring actors discussing their favorite films at length to be "tedious and ill-advised". 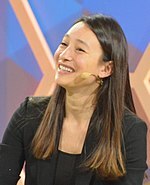 Writing for Time television critic Daniel D'Addario bemoaned that, "It was unfortunate that the evening's host didn't seem to share the evening's general embrace of humanity." Some media outlets received the broadcast more positively with praise directed toward host Kimmel. Variety television critic Sonia Saraiya praised Kimmel's performance writing that he "found a way to balance the telecast between that sensibility – the treacly self-satisfaction of sweeping orchestrals and tap dancing starlets." 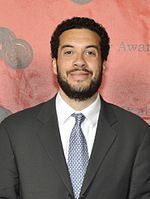 Chief television critics, Robert Bianco of USA Today and Frazier Moore from The Associated Press applauded Kimmel's hosting saying he "was up to the challenge" while Moore added that the ceremony's induction of the montage of moviegoers shows that "Hollywood can surmount its share of walls." Brian Lowry of CNN gave an average critique of the ceremony but acclaimed Kimmel's hosting. The American telecast on ABC drew in an average of 33 million people over its length, which was a 4% decrease from the previous year's ceremony. The show also earned lower Nielsen ratings compared to the previous ceremony with 22.4% of households watching over a 36 share. In addition, it garnered a lower 18–49 demo rating with a 9.1 rating over a 26 share among viewers in that demographic. It also had the lowest U.S. viewership since the 80th ceremony in 2008, which averaged 32 million viewers. Nonetheless, it was the eighth most watched television broadcast in the United States in 2017. In July 2017, the ceremony presentation received six nominations for the 69th Primetime Creative Arts Emmys. The following month, the ceremony won two of those nominations for Outstanding Creative Achievement In Interactive Media within an Unscripted Program and for Outstanding Directing for a Variety Special (Glenn Weiss). The slide for Janet Patterson, an Australian costume designer, mistakenly used a photograph of Australian producer Jan Chapman, who is still alive. ^ AMPAS revoked Russell's nomination after discovering that he had contacted voters for the award by telephone in violation of campaigning regulations. ^ Referred to only as Ben Affleck's "guest" in this segment. ^ a b Schwartz, Oriana (February 27, 2017). "Oscar Ratings Dip Again Amid 'Moonlight,' 'La La Land' Best Picture Mix-Up". Variety. Archived from the original on February 27, 2017. Retrieved February 27, 2017. ^ "Oscar 2017: Michael De Luca and Jennifer Todd confirmed to produce 89th Oscars". Academy of Motion Picture Arts and Sciences. November 4, 2016. Archived from the original on November 6, 2016. Retrieved November 5, 2016. ^ Khatchatourian, Maane (February 8, 2017). "Glenn Weiss to Direct Oscar Ceremony for Second Consecutive Year". Variety. Archived from the original on February 14, 2017. Retrieved February 14, 2017. ^ Kilday, Gregg (December 5, 2016). "Oscars: Jimmy Kimmel to Host This Year's Ceremony (Exclusive)". The Hollywood Reporter. Archived from the original on February 14, 2017. Retrieved February 14, 2017. ^ Goldstein, Micheline (September 1, 2016). "Jackie Chan, Anne V. Coates, Lynn Stalmaster and Frederick Wisemen to receive Academy's 2016 Governs Awards". Academy of Motion Picture Arts and Sciences. Archived from the original on September 14, 2016. Retrieved September 17, 2016. ^ Rottenberg, Josh (February 12, 2017). "The jokes, the scene (oh, and the winners) at the film academy's Scientific and Technical Awards". Los Angeles Times. Archived from the original on February 20, 2017. Retrieved February 20, 2017. ^ Alexander, Bryan (February 12, 2017). "John Cho, Leslie Mann pay respect to film's great brains at Sci-Tech Awards". USA Today. Archived from the original on February 21, 2017. Retrieved February 20, 2017. ^ France, Lisa Respers (February 26, 2017). "Oscars 2017: 'Moonlight' wins Best Picture after some confusion". CNN. Archived from the original on February 27, 2017. Retrieved February 26, 2017. ^ a b Baysinger, Tim (February 27, 2017). "Oscars draw lowest U.S. audience since 2008 with 33 million viewers". Reuters. Archived from the original on February 27, 2017. Retrieved February 28, 2017. ^ Hipes, Patrick (January 24, 2017). "Oscar Nominations:'La La Land' Ties Record With 14 Nominations; 'Arrival' & 'Moonlight' Snag 8 Apiece". Deadline Hollywood. Archived from the original on February 20, 2017. Retrieved February 21, 2017. ^ Shoard, Catherine (January 24, 2017). "La La Land equals record for most Oscar nominations". The Guardian. London. Archived from the original on March 7, 2017. Retrieved January 24, 2017. ^ Press, Associated (January 24, 2017). "La La Land, Moonlight land top Oscar nominations La La Land matches Titanic, All About Eve for most nominations". Toronto Sun. Retrieved January 24, 2017. ^ "The 2017 Academy Award nominations: 'La La Land' ties Oscars record with 14 nominations". Los Angeles Times. January 24, 2017. Archived from the original on January 24, 2017. Retrieved January 24, 2017. ^ Kare, Jeffrey (February 27, 2017). "'La La Land' wins most Oscars but loses Best Picture just like 'Cabaret' did in 1972". Gold Derby. Retrieved April 15, 2018. ^ Press, Associated (February 26, 2017). "Oscars 2017: Complete list of winners". Chicago Tribune. Archived from the original on March 11, 2018. Retrieved April 4, 2018. ^ Rose, Steve. "Don't let that Oscars blunder overshadow Moonlight's monumental achievement". The Guardian. Archived from the original on February 28, 2017. Retrieved February 27, 2017. ^ a b France, Lisa Respers (February 28, 2017). "Oscar mistake overshadows historic moment for 'Moonlight'". CNN. Archived from the original on March 1, 2017. Retrieved March 1, 2017. ^ a b Donnelly, Jim (February 26, 2017). "Moonlight Wins Best Picture After 2017, Oscars Envelope Mishap". Academy of Motion Picture Arts and Sciences. Archived from the original on February 27, 2017. Retrieved February 27, 2017. ^ Roy, Jessica (February 27, 2017). "'O.J. : Made in America' is now the longest film to ever win an Oscar". Los Angeles Times. Archived from the original on February 27, 2017. Retrieved February 27, 2017. ^ McNary, Dave (April 7, 2017). "Oscars: New Rules Bar Multi-Part Documentaries Like 'O.J. : Made in America'". Variety. Retrieved December 6, 2017. ^ Howard, Annie (January 24, 2017). "Oscars: Ben and Casey Affleck Among 16 Pairs of Oscar-Winning Siblings". The Hollywood Reporter. Retrieved April 15, 2018. ^ Crum, Maddie (February 26, 2017). "Mahershala Ali Becomes The First Muslim Actor To Win An Oscar". The Huffington Post. Retrieved February 27, 2017. ^ Lisa Ryan. "Viola Davis, First Black Actor to Win Oscar, Emmy, and Tony". New York. Archived from the original on February 28, 2017. Retrieved February 27, 2017. ^ Pulver, Andrew (February 27, 2017). "Damien Chazelle wins best director Oscar for La La Land". The Guardian. Retrieved April 15, 2018. ^ Olsen, Mark. "Damien Chazelle becomes youngest-ever winner of director Oscar for 'La La Land'". Los Angeles Times. Retrieved April 15, 2018. ^ Lincoln, Kevin (February 27, 2017). "So, Damien Chazelle, You Just Won Best Director in Your 30s — Now What?". Vulture. Archived from the original on February 14, 2018. Retrieved June 17, 2018. ^ "Kevin O'Connell, Oscar's Biggest Loser, Finally Wins on 21st Try". Yahoo! Movies. February 26, 2017. Archived from the original on February 27, 2017. Retrieved February 27, 2017. ^ Ge, Linda (February 26, 2017). "With 'Moonlight' Win, Dede Gardner Becomes First Female Producer With 2 Best Picture Oscars". TheWrap. Archived from the original on April 15, 2018. Retrieved April 15, 2018. 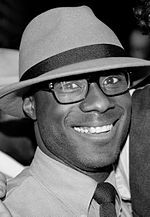 ^ "The 89th Academy Awards (2017) Nominees and Winners". Academy of Motion Picture Arts and Sciences. Archived from the original on February 27, 2017. Retrieved February 26, 2017. ^ a b "Academy Rescinds Oscar Nomination for Violation of Campaign Rules". The Hollywood Reporter. February 25, 2017. Archived from the original on February 26, 2017. ^ "Academy announces Jackie Chan, Anne V. Coates, Lynn Stalmaster and Frederick Wisemen will receive Governs awards". Academy of Motion Picture Arts and Sciences. September 1, 2016. Archived from the original on September 18, 2016. Retrieved September 23, 2016. ^ "Jackie Chan awarded honorary Oscar". BBC News. September 2, 2016. Archived from the original on September 23, 2016. Retrieved September 23, 2016. ^ Kilday, Gregg (September 1, 2016). "Jackie Chan, Film Editor Anne V. Coates to Get Honorary Oscars". The Hollywood Reporter. Archived from the original on September 10, 2016. Retrieved September 23, 2016. ^ Hipes, Patrick; Evans, Greg (September 1, 2016). "Governors Awards Honorees: Jackie Chan, Anne V Coates, Frederick Wiseman & Lynn Stalmaster". Deadline Hollywood. Archived from the original on September 24, 2016. Retrieved September 23, 2016. ^ Pond, Steve (September 1, 2016). "Jackie Chan, Frederick Wiseman to Receive Honorary Oscars". TheWrap. Archived from the original on September 9, 2016. Retrieved September 23, 2016. ^ a b "2017 Oscars - Winners & Nominees". Academy of Motion Picture Arts and Sciences. Archived from the original on February 27, 2017. ^ Kelley, Seth. "Leonardo DiCaprio, Brie Larson Among 2017 Oscar Presenters". Variety. Archived from the original on February 2, 2017. Retrieved February 3, 2017. ^ Tapley, Kristopher. "Oscars: Justin Timberlake, Lin-Manuel Miranda, Sting, John Legend to Perform". Variety. Archived from the original on February 10, 2017. Retrieved February 10, 2017. ^ a b Rosen, Christopher (February 27, 2017). "Jimmy Kimmel Belittles Matt Damon at Oscars with Help from Ben Affleck". Entertainment Weekly. Retrieved April 16, 2018. ^ Birnbaum, Debra (November 4, 2016). "It's Official: Michael De Luca and Jennifer Todd to Produce 2017 Oscars". Variety. Archived from the original on November 5, 2016. Retrieved November 4, 2016. ^ Feinberg, Scott (November 2, 2016). "Oscars: David Hill, Reginald Hudlin Not Returning as Producers (Exclusive)". The Hollywood Reporter. Archived from the original on November 3, 2016. Retrieved November 4, 2016. ^ Littleton, Cynthia (October 29, 2016). "Chris Rock Weighs in on 2017 Oscars Host, Says Comics Should Appeal to People Who 'Look Like Them First'". Variety. Archived from the original on November 5, 2016. Retrieved November 4, 2016. ^ "Jimmy Kimmel to host the 2017 Oscars". Academy of Motion Picture Arts and Sciences. December 5, 2016. Archived from the original on December 20, 2016. Retrieved December 6, 2016. ^ Bradely, Laura (December 8, 2016). "Jimmy Kimmel Announced His Oscars Hosting Gig with a Donald Trump Burn". Vanity Fair. Archived from the original on December 12, 2016. Retrieved February 20, 2017. ^ "Anthony Anderson To Host ABC's Post-Oscar Special, 'Live From Hollywood: The After Party'". Deadline Hollywood. Archived from the original on February 27, 2017. Retrieved February 27, 2017. ^ Waldek, Stefanie. "The 2017 Oscars Stage Is Inspired by Vintage Art Deco Style-Architectural Digest". Architectural Digest. Archived from the original on March 1, 2017. Retrieved March 1, 2017. ^ a b "2016 Academy Award Nominations and Winner for Best Picture". Box Office Mojo. Archived from the original on February 16, 2017. Retrieved March 5, 2017. ^ Bernardin, Marc (January 24, 2017). "None of the best picture nominees has grossed more than $100 million". Loss Angeles Times. Archived from the original on October 16, 2017. Retrieved June 17, 2018. ^ Joey, Nolfi (February 26, 2017). "How Oscar Nods Boosted 2017's Best Picture Contenders at the Box Office". Entertainment Weekly. Archived from the original on January 16, 2018. Retrieved June 17, 2018. ^ Press, Associated (March 24, 2017). "Box office performance of the 9 best picture Oscar nominees". Daily Herald. Retrieved June 17, 2018. ^ Tom, Huddleston Jr. (February 27, 2017). "'Moonlight' Is Among the Lowest-Grossing Oscar Winners Ever". Fortune. Archived from the original on March 6, 2018. Retrieved June 17, 2018. ^ "Academy Award Winners, Nominees, Games and Box Office Breakdowns". Boxoffice Mojo. Retrieved June 17, 2018. ^ "2016 Academy Awards Nominees and Wins by Movie". www.boxofficemojo.com. Retrieved June 22, 2018. ^ "2016 Yearly Box Office Results - Box Office Mojo". www.boxofficemojo.com. Retrieved June 22, 2018. ^ Keegan, Rebecca; Zeitchik, Steven (January 14, 2016). "Oscars 2016: Here's why the nominees are so white-again". Los Angeles Times. Archived from the original on June 12, 2016. Retrieved June 12, 2016. ^ Riley, Jenelle (January 24, 2017). "Oscars: Record Six Black Actors Nominated, Diversity Improves After Controversy". Variety. Archived from the original on January 26, 2017. Retrieved January 24, 2017. ^ Krishnakumar, Priya (January 24, 2017). "Are the Oscars still #SoWhite? A look at the diversity among this year's nominees". Los Angeles Times. Archived from the original on January 24, 2017. Retrieved January 24, 2017. ^ "Oscar nominations more diverse after #OscarsSoWhite row". Aljazeera Publishing. January 24, 2017. Archived from the original on January 24, 2017. Retrieved January 24, 2017. ^ Capatides, Christina (February 25, 2007). "For the first time ever, 3 black actresses were nominated in the same Oscars category". CBS News. Archived from the original on January 25, 2017. Retrieved January 25, 2017. ^ Verhoeven, Beatrice. "Oscars 2017: 3 Black Screenwriters Earn Oscar Noms for First Time Ever". TheWrap. Archived from the original on February 6, 2017. Retrieved January 25, 2017. ^ Lambe, Stacy. "Black Actors Nominated in Every Acting Category for First Time in Oscar History". Entertainment Tonight. Archived from the original on January 26, 2017. Retrieved January 25, 2017. ^ Puente, Maria (January 24, 2017). "Oscar nominations 2017: Diversity is not a simple black-or-white issue". USA Today. Archived from the original on February 25, 2017. Retrieved February 26, 2017. ^ Verhoeven, Beatrice (February 26, 2017). "Jimmy Kimmel Slammed for Mocking Asian Woman's Name at Oscars". TheWrap. Archived from the original on February 27, 2017. Retrieved February 26, 2017. ^ Whit, Tim P. (January 24, 2017). "Viola Davis becomes first black actress to earn 3 Oscar nominations". Entertainment Weekly. Archived from the original on January 25, 2017. Retrieved January 25, 2017. ^ Butler, Bethonie (January 24, 2017). "Viola Davis makes history with her third Oscar nod. We might be in for an epic speech". The Washington Post. Archived from the original on January 25, 2017. Retrieved January 25, 2017. ^ Giardina, Carolyn (January 24, 2017). "Oscars: 'Moonlight' Editing Nomination Marks a First". The Hollywood Reporter. Archived from the original on January 24, 2017. Retrieved January 24, 2017. ^ Aguirre, Abby. "Moonlight's Cinematographer on Filming the Most Exquisite Movie of the Year". Vogue. Archived from the original on January 8, 2017. Retrieved January 7, 2017. ^ Williams, Brennan (January 27, 2017). "Meet Joi McMillon, The First Black Female Oscar Nominee For Film Editing". The Huffington Post. Archived from the original on January 27, 2017. ^ Nolfi, Joey (January 23, 2018). "Oscars: Octavia Spencer makes history with The Shape of Water nomination". Entertainment Weekly. Retrieved January 23, 2018. ^ Nolfi, Joey (February 26, 2017). "Oscars 2017: History made with most black winners ever". Entertainment Weekly. Archived from the original on February 28, 2017. Retrieved March 1, 2017. ^ Brucculieri, Julia (January 30, 2017). "Oscar-Nominated Iranian Director Asghar Farhadi Will Not Attend Awards Ceremony". The Huffington Post. Archived from the original on February 4, 2017. Retrieved February 5, 2017. ^ Bakare, Lanre (January 27, 2017). "Academy president on Oscars boycott: Trump ban made 'artists into activists'". The Guardian. Archived from the original on February 11, 2017. Retrieved February 11, 2017. ^ Vivarelli, Nick (February 24, 2017). "Asghar Farhadi to Be Represented at Oscars by First Female Space Tourist and Former NASA Scientist". Variety. Archived from the original on February 26, 2017. Retrieved February 26, 2017. ^ Smith, Neil (February 28, 2017). "Oscars 2017: Truth behind 'Envelopegate' emerges". BBC News. Archived from the original on February 28, 2017. Retrieved February 28, 2017. ^ Scott, Feinberg; Chris, Gardner (February 16, 2017). "Oscars: Warren Beatty and Faye Dunaway Planning 'Bonnie and Clyde' Reunion (Exclusive)". The Hollywood Reporter. Archived from the original on August 16, 2017. Retrieved June 17, 2018. ^ Jack, Shepherd (March 5, 2018). "Warren Beatty and Faye Dunaway joke about Oscars mix-up when handing out best picture". The Independent. Archived from the original on March 5, 2018. Retrieved June 17, 2018. ^ Merry, Stephanie; Bever, Lindsey (February 27, 2017). "'La La Land' producer Jordan Horowitz is the truth-teller we need right now". The Washington Post. ISSN 0190-8286. Archived from the original on January 8, 2018. Retrieved June 17, 2018. ^ "Jewish 'La La Land' producer takes starring role in Oscars gaffe". The Times of Israel. February 27, 2017. Archived from the original on September 20, 2017. Retrieved June 17, 2018. ^ Rothman, Michael; Hayden, Michael Edison (February 27, 2017). "'Moonlight' wins best picture after 'La La Land' mistakenly announced". ABC News. Archived from the original on February 27, 2017. Retrieved February 27, 2017. ^ Garvey, Megan (February 26, 2017). "Oscars 2017 live updates: 'Moonlight' wins best picture after 'La La Land' incorrectly called". Los Angeles Times. Archived from the original on February 27, 2017. Retrieved February 26, 2017. ^ Kilday, Gregg. "Oscars: How the Wrong Envelope Triggered a Best Picture Fiasco". The Hollywood Reporter. Archived from the original on February 27, 2017. Retrieved February 27, 2017. ^ Gonzalez, Sandra (February 27, 2017). "It was 'Moonlight,' not 'La La Land': A timeline of a historic Oscars blunder". CNN. Archived from the original on February 27, 2017. Retrieved February 27, 2017. ^ "Statement from PwC". Academy of Motion Picture Arts and Sciences. February 27, 2017. Archived from the original on February 27, 2017. Retrieved February 27, 2017. ^ Gelles, David; Maheshwari, Sapna (February 27, 2017). "Oscars Mistake Casts Unwanted Spotlight on PwC". The New York Times. Archived from the original on February 28, 2017. Retrieved February 28, 2017. ^ Mandell, Andrea (February 28, 2017). "PwC rep was told not to tweet during Oscars". USA Today. Archived from the original on March 2, 2017. Retrieved March 2, 2017. ^ Yee, Lawrence; Oldham, Stuart; Bryant, Jacob (March 1, 2017). "New Photos Show PWC Accountant Tweeting, Mixing Envelopes Backstage at Oscars (exclusive)". Variety. Archived from the original on March 2, 2017. Retrieved March 2, 2017. ^ "The Academy Awards: 89th Oscars (2017)". Rotten Tomatoes. Archived from the original on April 4, 2019. Retrieved April 4, 2019. ^ Jensen, Jeff (February 27, 2017). "The Oscars fumble: EW review". Entertainment Weekly. Retrieved April 23, 2017. 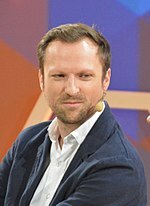 ^ Turnquist, Kristi (February 27, 2017). "In incredible Oscars switch, 'Moonlight' wins best picture". The Oregonian. Retrieved August 23, 2017. ^ D'Addario, Daniel (February 27, 2017). "Review: A Lively Oscars Show Ended With the Mother of All Mix-Ups". Time. Retrieved April 23, 2017. ^ Saraiya, Sonia (February 26, 2017). "TV Review: Oscars Celebrate Cinema Through the Messy Power of Live Television". Variety. Archived from the original on March 15, 2017. Retrieved March 14, 2017. ^ Bianco, Robert. "Review: Kimmel comes out comfortable and swinging in debut as Oscars host". USA Today. Archived from the original on March 2, 2017. Retrieved March 15, 2017. ^ Moore, Frazier (February 27, 2017). "Review: What happened? Oscar host Kimmel was unflappable". The Associated Press. The Oklahoman. Retrieved May 15, 2018. ^ Lowry, Brian (February 27, 2017). "Oscars mix politics, silliness and shocking twist ending". CNN. Retrieved August 23, 2017. ^ O'Connell, Michael. "TV Ratings: Oscars Drop to 32.9M Viewers, Telecast Takes a Bigger Hit With Younger Set". The Hollywood Reporter. Retrieved May 15, 2018. ^ Schneider, Michael (February 27, 2017). "Final Oscars Ratings: La La Lousy Numbers, as This Year's Telecast Dips From Last Year (Updated)". IndieWire. Retrieved May 15, 2018. ^ Porter, Rick (February 27, 2017). "TV Ratings Sunday: Oscars decline to smallest audience in 9 years [Updated]". TV by the Numbers. Retrieved May 15, 2018. ^ Crupi, Anthony (January 2, 2018). "Despite Another Ratings Slump, the NFL Remains TV's Top Dog". Advertising Age. Retrieved January 26, 2018. ^ Chow, Andrew R. (September 17, 2017). "Emmys 2017 Winners List". The New York Times. Retrieved September 18, 2017. ^ Dove, Steve (February 26, 2017). "Sara Bareilles performs In Memoriam tribute at 2017 Oscars". Academy of Motion Picture Arts and Sciences. Archived from the original on February 27, 2017. Retrieved February 27, 2017. ^ Shanley, Patrick (February 26, 2017). "Oscars: Sara Bareilles Performs Joni Mitchell's "Both Sides Now" During In Memoriam Segment". The Hollywood Reporter. Archived from the original on February 27, 2017. Retrieved February 27, 2017. ^ Samuelson, Kate (February 27, 2017). "'I Am Alive and Well.' Australian Producer Mistakenly Included in Oscars 'In Memoriam' Segment". Time. Archived from the original on February 27, 2017. Retrieved February 27, 2017.